I’m Sacramento brain injury lawyer Ed Smith. 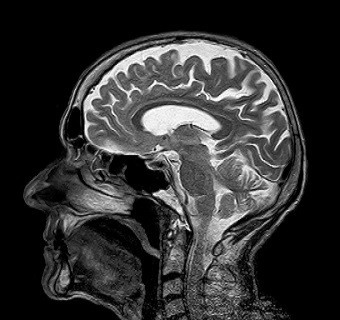 The results of an extensive study on people with a traumatic brain injury (TBI) over an extended period show that a high percentage of those injured are at a higher risk for dementia. The study hopes to assess risk factors for young people who suffer a TBI. Falls account for about 47 percent of TBIs. These kinds of serious injuries are most common among young children and the elderly. Being struck by an object or falling against one accounts for about 15 percent of Specific brain injuries. Injuries caused by motor vehicle crashes account for 14 percent of TBIs. 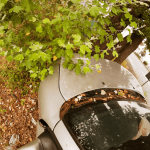 Some of these are caused by rollover accidents and commonly occur with a crushed roof. Assaults, including with firearms, account for 9 percent of TBIs. According to an article published in The Lancet Psychiatry recently, the study was conducted over a 36-year period using 2.8 million subjects. The long-term study was conducted using those who had suffered TBIs and those who had no brain injuries to determine whether there was a strong correlation between TBI and brain dementia. It concluded that 24 percent of those who had a TBI would probably develop dementia. The risk grew larger if the TBIs were more serious and with the number of times a TBI was suffered by the individual. According to the study, a single instance of TBI of a mild nature such as a concussion was enough to increase the risk by 17 percent. In the comparison of those with previous TBI and those without, the risk increased with the number of TBIs suffered. Those who had suffered two or three TBIs increased their risk of dementia by 33 percent. If the person had suffered four TBIs, the risk increased to 61 percent. The risk of getting dementia increased by almost three times if the individual had suffered TBIs five or more times. Falls and resulting TBIs are the highest cause of death for those 75 or older. TBIs from motor vehicle crashes were the highest cause of death for those between the ages of 5 and 24. The highest cause of death from TBI for people between the ages of 25 and 64 was self-harm. TBI was the leading reason for deaths in the 0 to age 4 range and was caused by assaults. Is Traumatic Brain Injury Reversible? I’m Sacramento brain injury lawyer Ed Smith. When a brain injury has been caused by a negligent driver or through other forms of negligence, the injured individual or family can obtain fair compensation for the expenses incurred. Contact me for my free and friendly advice at (916) 921-6400 here in Sacramento or (800) 404-5400 outside the area. I also offer an online contact form at my website, AutoAccident.com. I belong to the Million Dollar Forum, a group of top trial attorneys with verdicts/settlements for clients totaling at least one million dollars. Visit Settlements and Verdicts to see how I have helped others and how their cases were resolved.